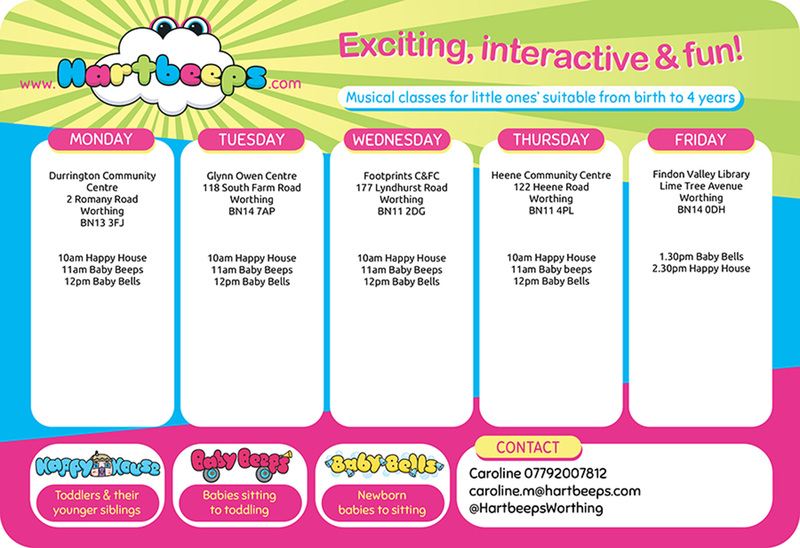 All babies under 8 weeks can join a Baby Bells class at any of our Worthing venues for FREE!!! I'm Caroline, Owner and Chief Imaginator at Hartbeeps Worthing. So come and join me and my fabulous team in our world of imagination. 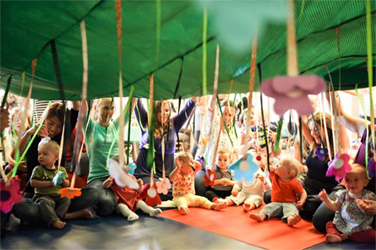 Dive down the rabbit hole with your little one and let us take you on a magical sound journey to a place of adventure and excitement where we learn through play and creativity, all set to an amazing soundtrack and bound together with sensory magic. BOOKING IS OPEN for the next term, beginning Monday 22nd April and ending on Friday 19th July! Booking is available for the first half term, or for the full ten week term. To book, either contact me directly to pay by BACS, or click on the relevant link to the booking system in the newsletter.